One of the main reasons I love going to Italy is because you know you’re going to get some absolutely incredible food. Me + Pasta = 5eva. 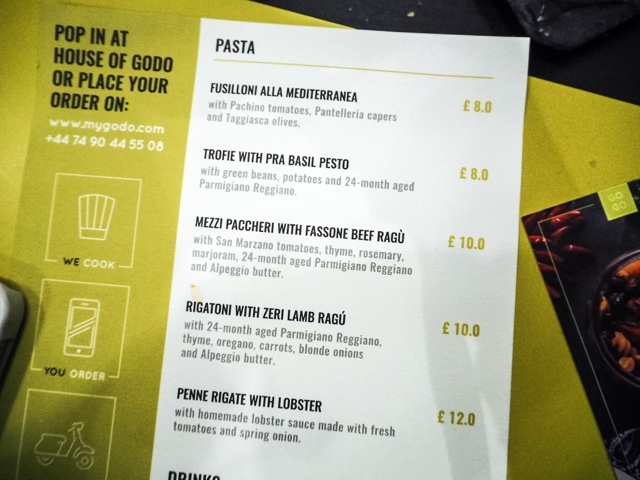 But what if you didn’t have to trek all the way to Italy just for some amazingly authentic food, and instead you could grab some Michelin star pasta dishes right in the heart of London, or better yet have them delivered to your door?! Hello House of GODO! House of GODO is the pop up restaurant from the GODO team, transforming the way Londoners are eating lunch right now – bringing delicious, healthy and home cooked meals of astonishing quality all the way from Italy right to you. And each dish is under £12! 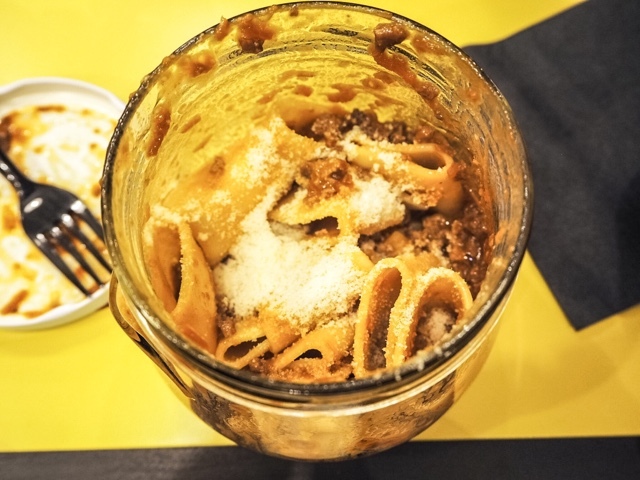 Read on pasta lovers…. 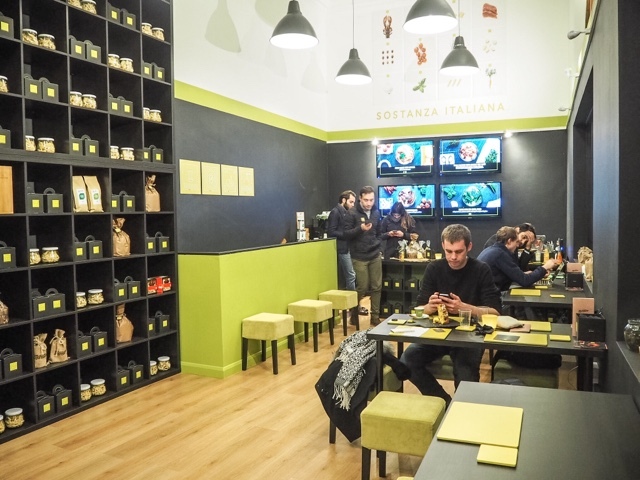 Amin and Simone, GODO’s founders, grew tired of eating the same old dull and boring food in the city and craved affordable yet quality dishes which would bring the excitement back to lunchtimes. 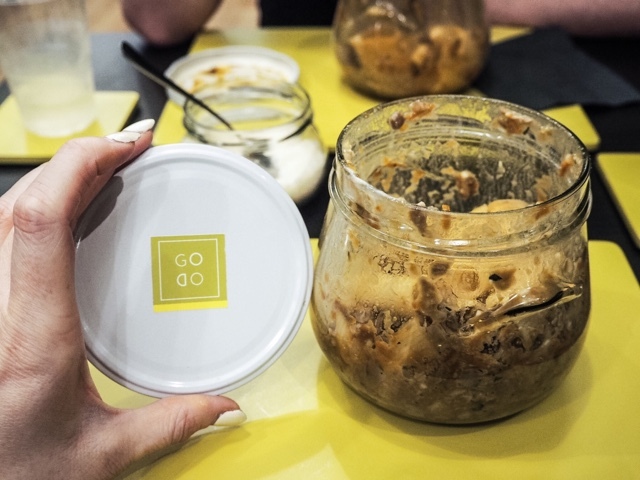 Their thinking is “If you only have 15 minutes to eat, we want GODO to make those the best 15 minutes of your day”. 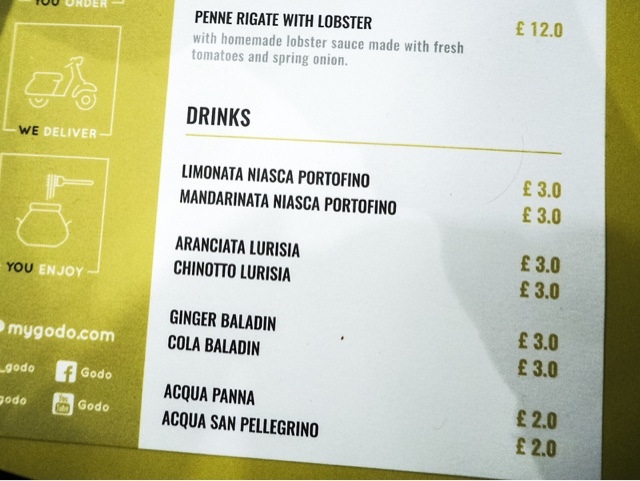 And so GODO was born – their answer to bringing delicious Italian comfort food cooked with the best artisan produce by a Michelin star chef to the masses. Their slogan “We cook, you order, we deliver, you enjoy” sums up just how easy and accessible their food is, allowing Londoners to simply order what they want from the small menu and have it delivered by Vespa shortly after, still at temperature and served in a lovely glass jar, emphasising the quality ingredients inside. No cheap plastic cartons here! The company is very new – only launched in December 2015 – and delivers to clients in Canary Wharf and Mayfair but Simone and Amin have big plans for expansion. 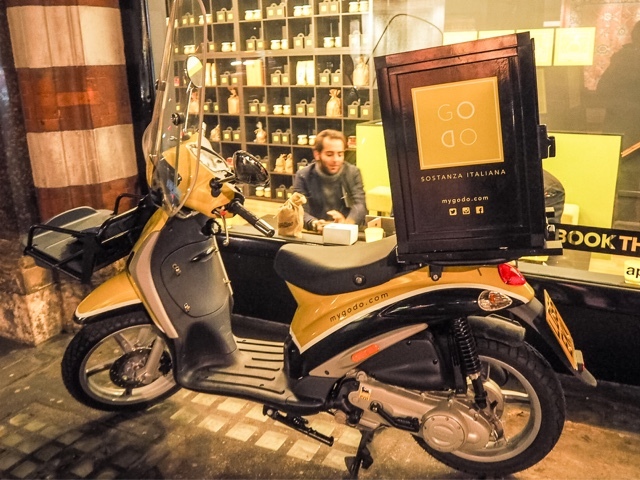 One way to help get them on the map is their pop up restaurant House of GODO, just next to Green Park station (the perfect location for such a venue in my opinion) which is where I went to sample their tasty tasty food. The space is cosy, simple and very welcoming which pretty much sums up the kind of food you can expect! 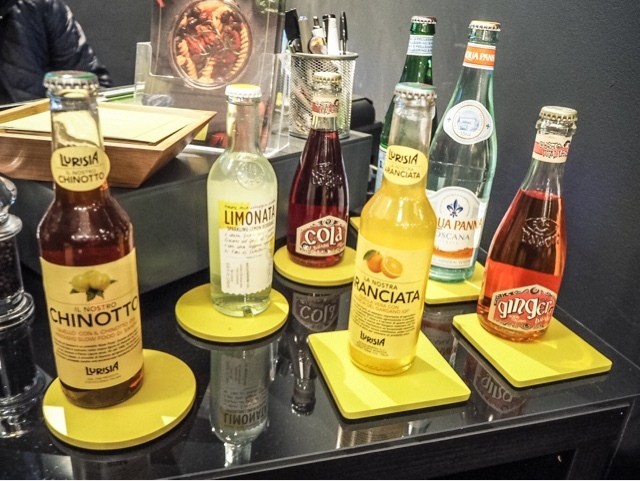 Their menu currently consists of five pasta dishes and eight traditional Italian soft drinks. It may seem small but everything sounds so delicious it will still take you ages to decide what you want! I went for the Rigatoni with Zeri Lamb Ragu – authentic Gragnano pasta made from organic flour and drawn in the traditional “Al Bronzo” way (Trafilato Al Bronzo), finely sliced leg of organic Zeri lamb gently cooked sous vide for three hours, sautéed with Alpeggio butter, thyme, oregano, carrots, blonde onions and 24-month aged Parmigiano Reggiano. Tony chose the Mezzi Paccheri with Fassine Beef Ragu with San Marzano tomatoes, thyme, rosemary, marjoram, 24-month aged Parmigiano Reggiano and Alpeggio butter. YUM! 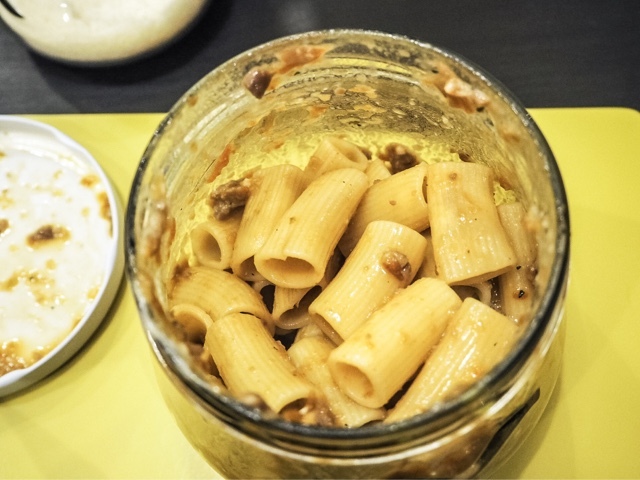 Our meals were served in cardboard boxes in the signature fresh lime green colour, and inside were nestled our glass jars filled with pasta – just as they would be served had they been delivered to us at home or work. 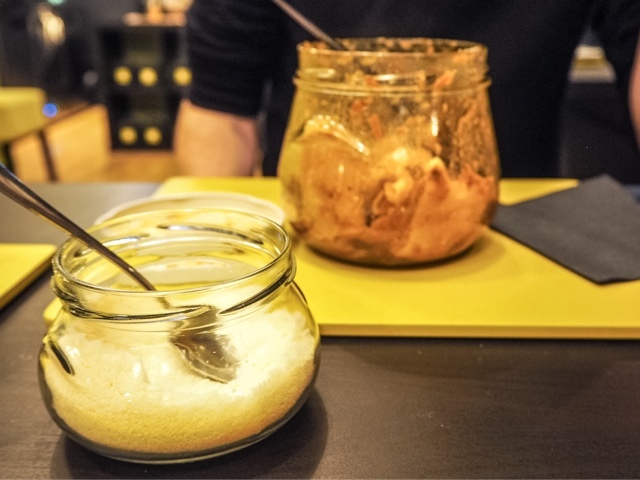 The food was absolutely incredible – just as tasty as dishes I’ve had in Rome and Lake Garda! The pasta was slightly al dente and tasted so fresh. The meat was so well seasoned and was very tender with just the right amount of sauce and I loved that you really could taste each individual herb used. Tony loved his Beef Ragu and his only complaint was that he ate it too quickly! It was my complaint too as I only managed to nab a small bite before it had all gone…! 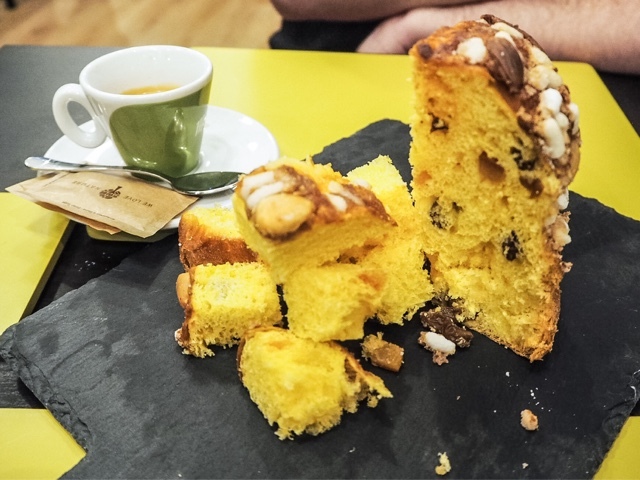 After dinner we ordered a coffee and feasted on yet more traditional Italian food – light, fluffy panettone which was absolutely amazing, and so buttery and moreish! 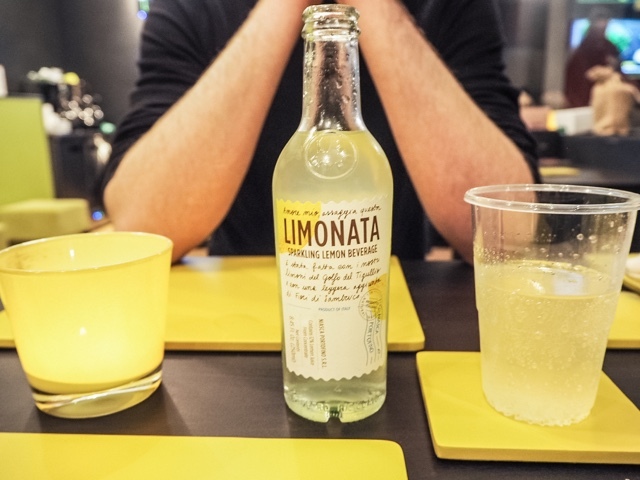 The candied orange lifted the flavours and made it the perfect after dinner treat – refreshing as well as sweet. 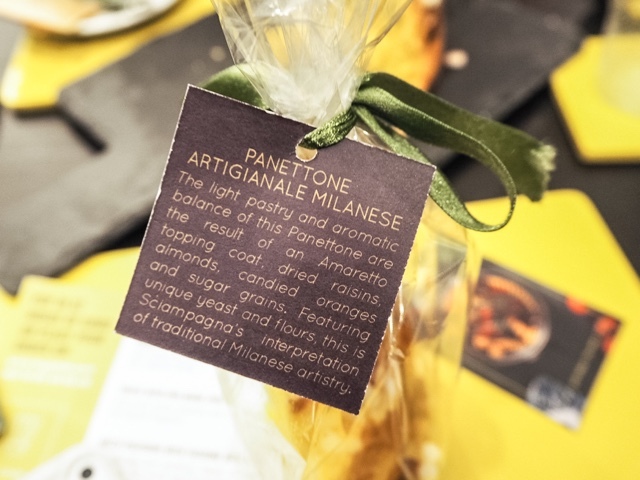 Excitingly GODO will also be adding panettone to their menu, so you can order slices to be delivered to you with your pasta. We really enjoyed our trip to House of GODO and I definitely want to head back before the end of their residency at the end of March 2016. I’m so glad that their food will be available after they close too via their GODO delivery service. The food was so rich and delicious and it is nice to know that there are fresh, healthy and affordable delivery options available in London. 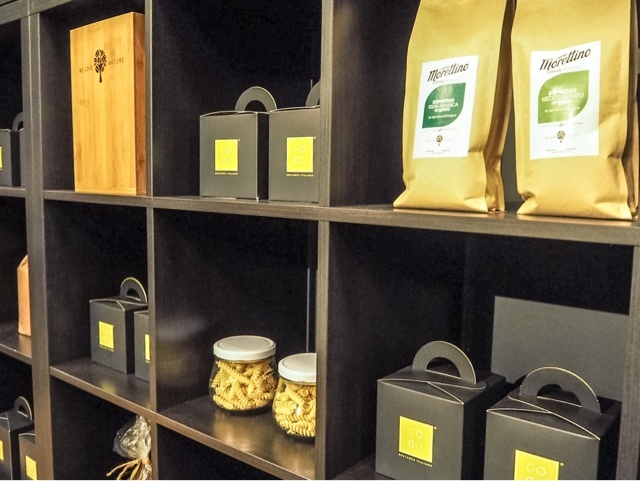 Simone and Amin are clearly so passionate about the vision for their brand and enjoy sourcing and importing authentic Italian produce to be used in their food. 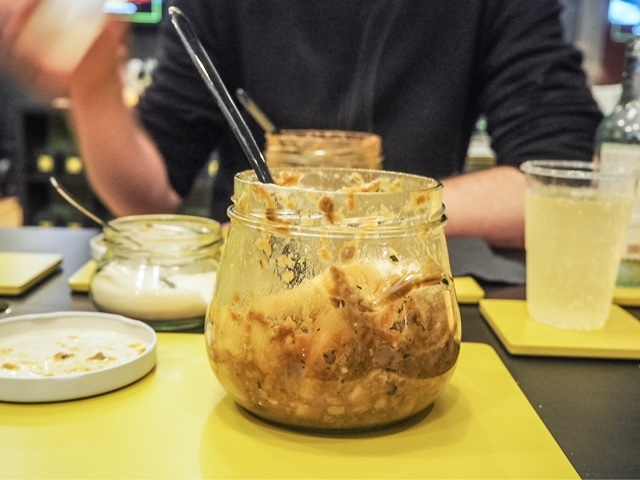 I also really like that they run a recycling scheme for their glass jars – customers are welcome to keep and reuse them or if they return 10 they get their next meal free. Good for you, and the environment! 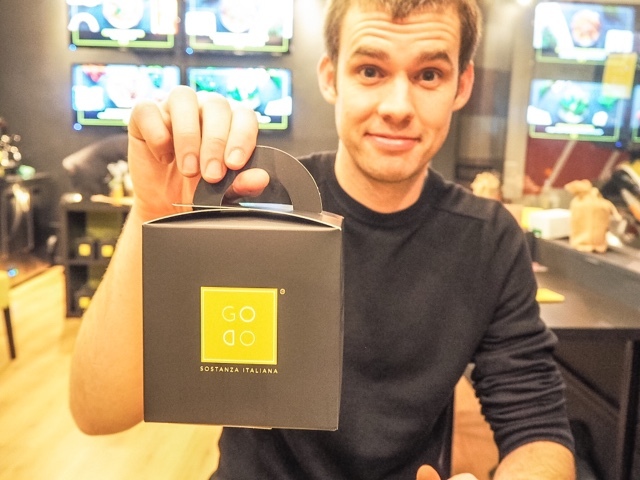 I definitely think GODO will be one to watch this year and I can’t wait to see how their business and menu expands! 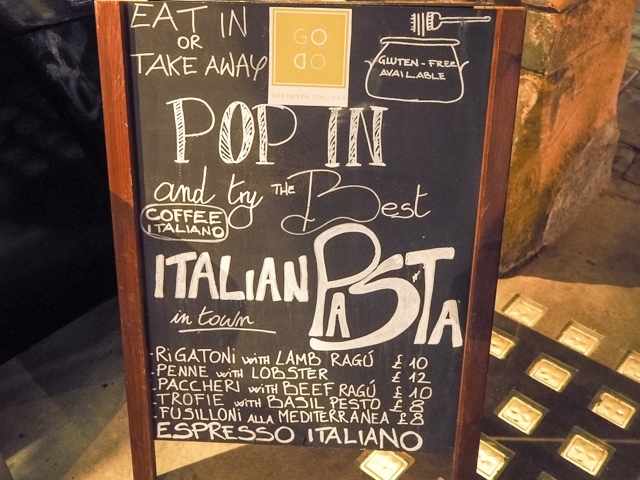 *Thanks so much to House of GODO for inviting us to try out their delicious pasta dishes. All thoughts are honest and my own. For more information please see my Disclaimer Page.